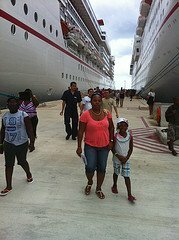 I have collected several Carnival Paradise pictures from my family's July 2012 cruise to Grand Cayman and Cozumel, Mexico. 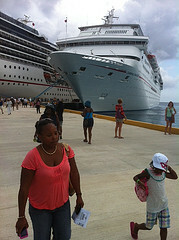 I hope you will enjoy this photos of Carnival Paradise, as much as we enjoyed the cruise. 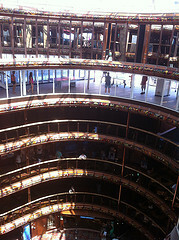 These pictures of Carnival Paradise's atrium above are simply amazing! 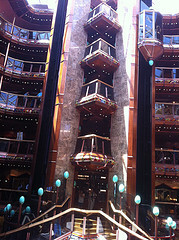 One of the first things I look for on a cruise ship is the atrium. I was not disappointed! 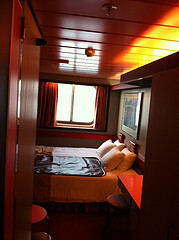 After seeing the atrium on a cruise, I then want to see where I'll sleep. 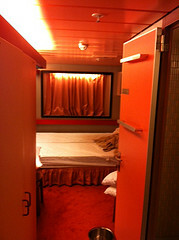 We normally get an oceanview cabin onboard, but for this cruise we had inside cabins. 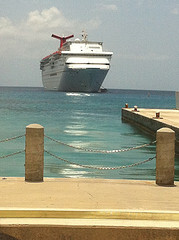 Several more pictures coming soon! Stay tuned!